Who: I’m a married 33 year old wearing my first child. She’s 8 weeks old in this photo. We are taking advantage of the last weeks of my maternity leave before returning to work. We’re visiting the gardens with my husband (who took this photo), mother-in-law, father-in-law and sister-in-law. What: Ergobaby, on loan from my local babywearing chapter. I think we’ll be buying our own to have variety with our ring sling. 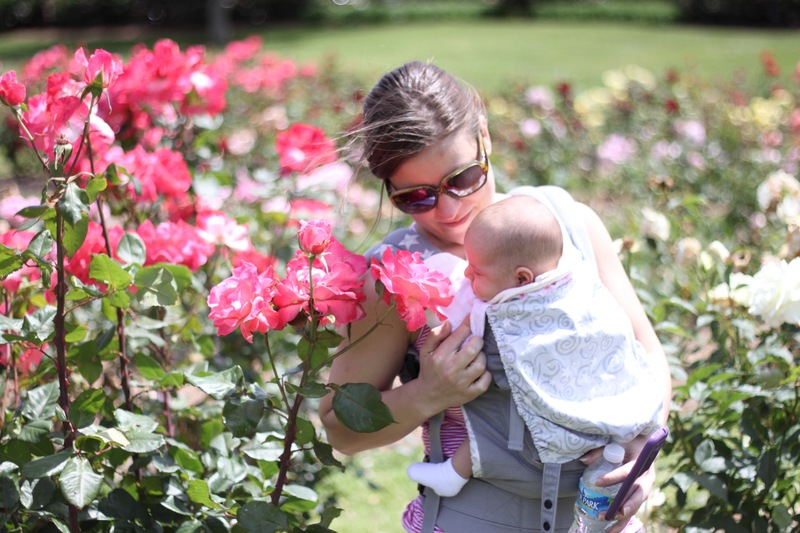 Why: Because a baby can’t smell a rose for the first time from a stroller.